PALADIN LAUNCHES ALL-NEW CASE LIGHT, NOW MADE IN THE U.S.A.
All-New Paladin Case Light CLU10K provides more durability along with 10,000 lumens of portable light that runs four hours on battery power alone. ROANOKE, TEXAS, February 22, 2016 – Paladin’s unparalleled portable work and scene light was introduced last spring to give construction crews the flexibility to extend working hours and work safely in dark places, without power cords. 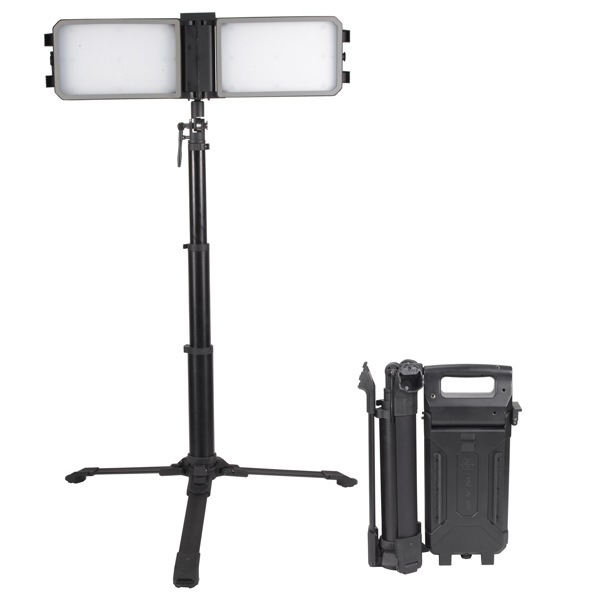 Now, Paladin introduces the new Case Light CLU10K featuring ultra-durable construction made in the United States of America. 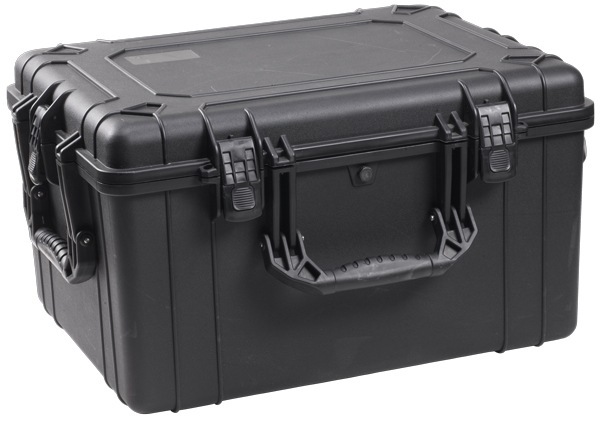 The Paladin Case Light CLU10K has a new body and light head, built with aircraft aluminum, glass-reinforced nylon, and heavy-duty rubber, meaning it can be used in even the harshest weather. These materials can withstand the kind of punishment the job site brings every day- knocks, falls and wet conditions. The CLU10K offers up to 10,000 lumens of LED light for four hours on battery power and can be deployed in under 15 seconds. Weighing just 17.5 pounds and no need for a cord, the Paladin Case Light CLU10K is ready to go to any construction or building site that needs light – from a new building with no electrical, to a remote stretch of road that needs repairs. The Paladin Case Light CLU10K provides the brilliant, portable light needed for early morning concrete pours, night work, traffic control, job sites without electricity and more. The light output can be set to 10,000 or 5,000 lumens, giving off the perfect amount of light for any situation or location. Traffic and strobe settings on the CLU10K can keep a crew safe when working roadside or in high-traffic areas. If a crew can go there, Paladin Case Light CLU10K can light it. To order or learn more about the Paladin Case Light CLU10K, visit www.paladinprotect.com. 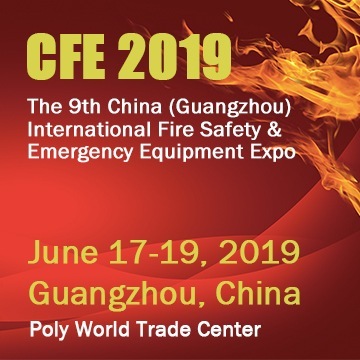 About Paladin: Paladin, a division of International Development LLC, manufactures innovative vision systems used in industries such as: fire, rescue, law enforcement and construction. Paladin’s mission is to provide extraordinary vision so professionals can work more effectively in safer conditions. Products are made in the U.S.A. Paladin is a proud supporter of the National Fallen Firefighters Foundation. For more information about Paladin and its products, visit www.paladinprotect.com.